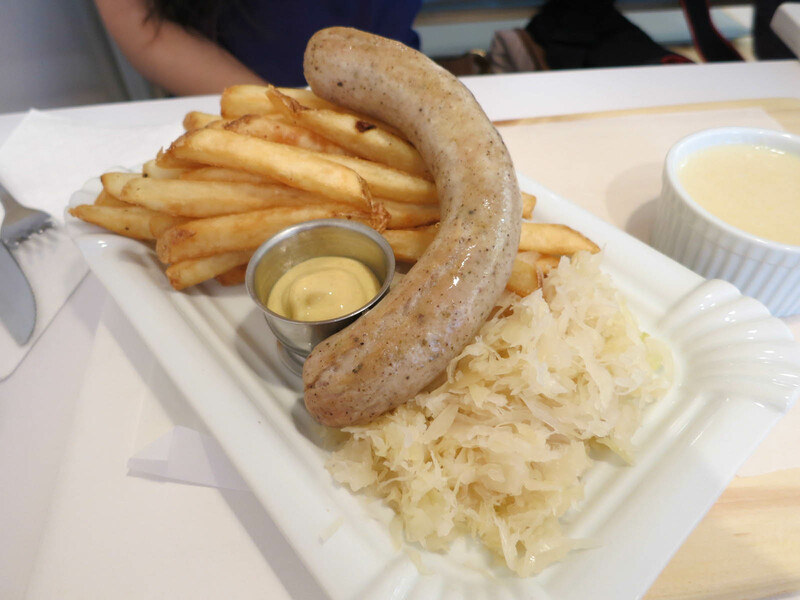 Bestie is a new German sausage parlour located in Chinatown on East Pender. 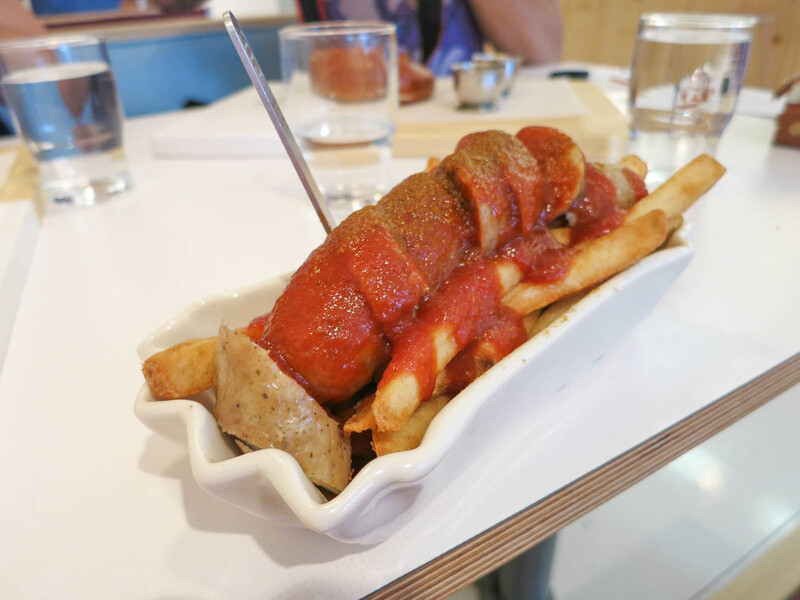 They specialize in currywurst, which is a traditional German street food dish made with french fries topped with sausage and curry ketchup. The inside of the store is bright, minimalist and modern. It has a cute atmosphere and it is a perfect place for a quick meal. I came here with Curtis from Foodobyte and Kirsty from Eating with Kirby to try some currywurst. Both Curtis and I went with their signature currywurst with a classic bratwurst sausage. The pork bratwurst was very good. It was juicy and had a good amount of fat, but it wasn’t greasy or too heavy. The curry ketchup was also delicious. It had a nice curry flavour that brought everything together well. The fries were good, but not great. I would have preferred them to be more crispy, but they soaked up the curry ketchup well. I also had a pretzel and mustard. 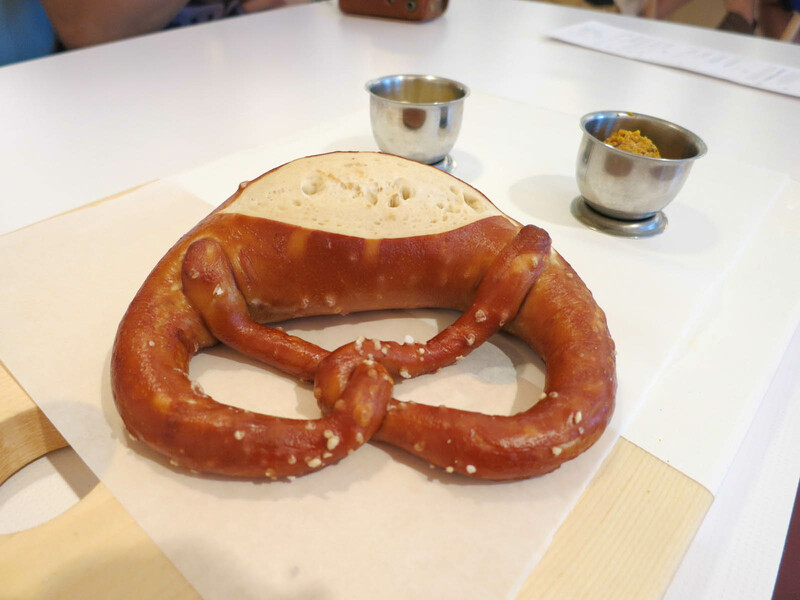 The pretzel had a good chewy consistency and was salted on the outside. It came with two different mustards. One was sweet and one was spicy. I can handle a decent amount of spice, so I was surprised by how spicy the one was. Since the currywurst isn’t that big, this is a good item to snack on and fill you up. You may need this if you have a big appetite. Kirsty had the bratwurst sausage and sauerkraut meal. I tried some of the sauerkraut and I was surprised by how much I liked it. It definitely had a bit of tang to it, but it wasn’t too overwhelming or bitter. I enjoyed my meal from Bestie and it is unlike any other restaurant around. There isn’t really a German food scene in Vancouver, so it is cool that they are doing something different and fun. The meal portion sizes aren’t super big, but the food is high quality and it tastes good. Yes, for a good German sausage in Chinatown.